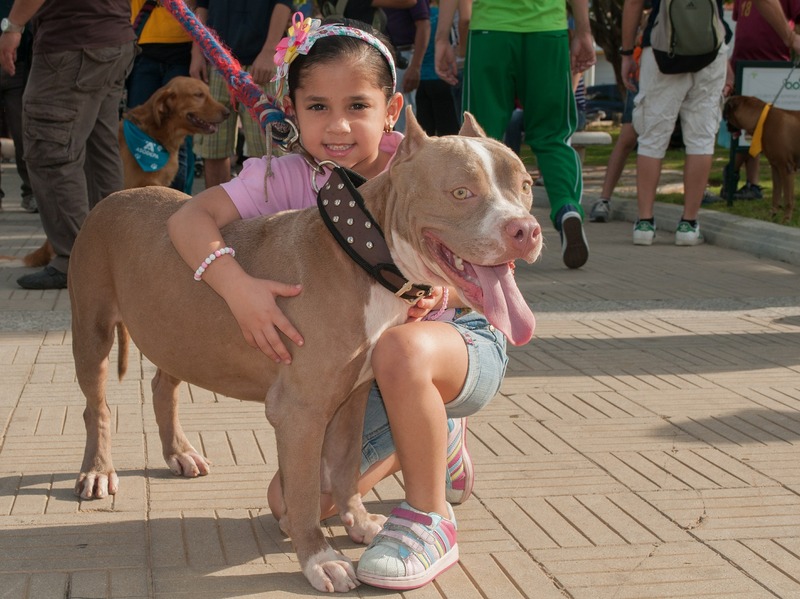 Teaching dog safety must be a priority for our children and for dogs. Yes, our loveable, silly, adorable canine companions are important members of our family. Just as our dogs need training and discipline when it comes to behavior, so do our children need to be taught how to act around dogs they know, and dogs they don’t know. With 83.3 million canine family members in the United States alone, there are approximately 885,000 reported cases of dog bites each year, with 42 dog-bite related fatalities in 2014 alone. Sure, your Fido may be the friendliest, most well-behaved canine on the block but, unfortunately, not all dogs are provided the proper training and socialization necessary for a guaranteed incident-free encounter. And that is why it is important for you, as a pet parent and a parent to children, to teach your kids dog safety skills. Reading a dog’s body language is relatively simple, and it is a learned skill that every child should know. Your own Fido may be your child’s best friend, but little Johnny needs to understand that not every dog is friendly. Use Fido as an example to teach your children what a happy, relaxed dog looks like. It’s easy for a child to interpret a dog baring his teeth as a smile, or a wagging tail as a sign of happiness, so consider sharing some videos on dog communication with your children. A great source for information and videos is the website Living with Kids and Dogs. Children should be taught to always ask permission of a doggy’s pet parent before approaching any dog. If no pet parent is in site, little Johnny should be taught to move on without contact. And be certain to instill the idea that no dog should be approached when eating, sleeping, or playing with a toy, as many dogs guard their resources and will bite if they feel they need to protect their possessions or territory. A dog approach should be slow, with a closed hand presented to the dog, allowing him to sniff. If all goes well, the dog can then be petted under the chin or along the chest; be sure to teach your child to avoid a pat on top of the dog’s head, as this can be intimidating for some dogs. Teach your children what to do should they be approached by an unfamiliar dog. A child should stand completely still, with his arms by his sides, eyes looking downward, while remaining silent. Many dogs will react to a child who runs away screaming, so teaching this method and helping little Johnny practice how to remain calm and quiet will help him stay safe. Yes, our canine companions are treasured members of our family, which can make it difficult for a child to understand that not all dogs are the same. Teach your children early on how to approach other dogs in a safe, calm manner, and how to read a dog’s body language. Instill in them the respect they must show for all dogs, including your own, and your children will be safer for it. Love a Clean Dog !! You let Rover in from outside and, as he enters your home, a waft of unsavory doggy smell follows; you know, that scent of must, dirt and body odor all rolled up into one. The smell may be completely normal for a dog, but that doesn’t make it any more pleasant for you. Providing your dog with regular grooming and bathing from a young age, and having fun while doing so, will ensure you have a happy, healthy and sweet smelling four-legged family member. 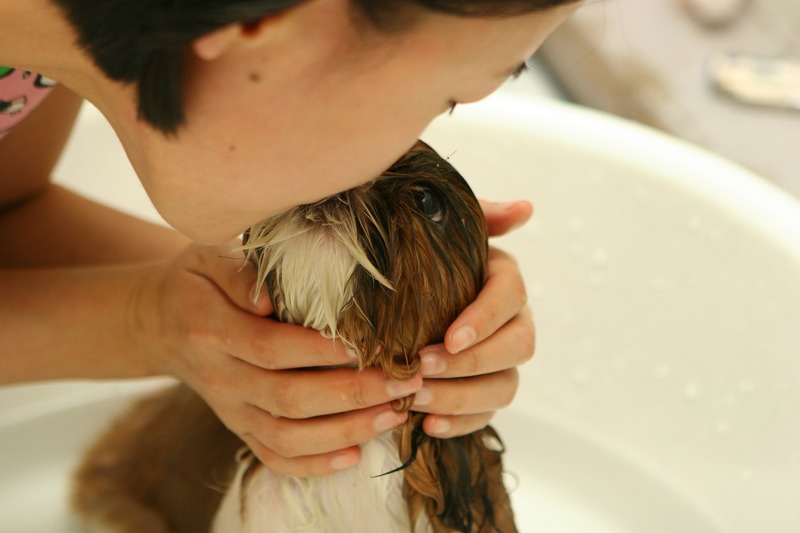 So, what should you know to bathe your dog? Probably the most important element of a good bath for Rover is the proper shampoo and conditioner. Did you know a dog’s skin is half the thickness of human skin? This makes it very sensitive, so human products aren’t ideal for Rover. Find a good quality, gentle shampoo made especially for dogs in a variety that meets his needs, such as relief for dry skin, greasy skin or itchiness. If you’re uncertain which shampoo would be best, ask your vet. As for conditioners, they are not really necessary unless your dog has particularly dry hair, in which case a leave-in treatment applied after his bath while is coat is drying may be best. Sure, bathing may seem like a simple task, but it can often end up with a soaking wet dog escaping from the tub and running around your house, shampoo and hair sticking to your walls as Rover takes a cue from Taylor Swift and “Shakes It Off,” or even a petrified pooch who does nothing but whine and cry the entire time. No matter which location you choose for bathing ~ the tub, sink, outside under the hose ~ keep a hand on your dog at all times while bathing him. This will make it less likely that he will shake all over and attempt to break free. Have everything ready before you begin, and keep treats on hand to reward and encourage good behavior. Include a good massage while shampooing and towel dry gently yet thoroughly as this will not only result in a squeaky clean canine, but it will enhance your emotional bond. Do all you can to make the whole experience pleasurable for both you and your pooch. Bath time is a great time to check your dog’s nails, ears, teeth and skin for any lumps, bumps, bruises, abrasions, breaks, etc. Systematically feel all around Rover’s body, perhaps while you are massaging the shampoo into his coat. Remove any tangles and debris from your dog’s coat by brushing thoroughly. Wet your pet, avoiding the head. Apply shampoo, lathering up all over. Massage your pet’s entire body, with the exception of his head, to lather and check for any injuries. Leave the shampoo on your pet for the recommended length of time. Meanwhile use a small sponge or cloth to wipe down your pup’s face with water (no need for shampoo, unless you’re using a tearless variety). Rinse thoroughly, ensuring all shampoo residue has disappeared. Stand back (very important!) and allow your pet to shake. If desired, use a hairdryer on low heat or take your pet for a walk in the sun to dry his coat. Check your dog’s ears to see if additional cleaning is needed. Check his nails and trim if necessary. Dogs with a persistent, foul odor may smell bad due to allergies or dermatitis. Take Rover to your vet for a check-up to identify any possible underlying problems, such as bacterial or fungal skin disease or dental disease. Dogs with fleas often develop itchy, smelly skin, so ensure your flea control routine is current, even if you don’t see any visible fleas on your pooch. As well, if Rover develops a smelly odor between baths, along with a slightly red or itchy skin, he may have allergies. You may opt to try a supplement product such as Dermoscent, which increases the fatty acid balance in your dog’s skin and improves smell. Secondary to a fresh smelling pooch, the next best part of bath time for Rover is that both of you enjoy the time spent together. This quality time can become very important to you both, and by doing the job yourself, you can save a great deal of money over your dog’s lifetime and build a healthy bond. 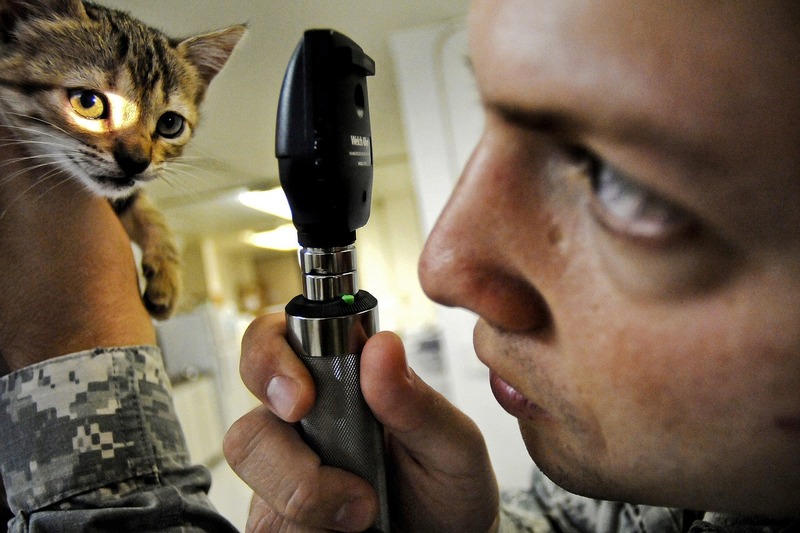 Keeping your cat healthy is alot of preventative care. Many pet parents of cuddly kitties think if their cat is eating well and behaving as usual, then he or she doesn’t need to visit the vet. After all, vets treat our pets when their sick, not when they’re happy and healthy, right? Well, that is where the issue lies ~ just because YOU think your cat is happy and healthy, only your vet can truly make that determination, and regular visits reduce the risk of your cat falling ill in the first place. There are so many cat ailments that aren’t obvious to the untrained eye, making them that much more dangerous. However, regular check-ups by your vet make the chances of identifying, diagnosing and treating your kitty’s possible medical conditions great enough to increase the odds of a good outcome. A perfect example of a feline ailment that you, as a pet parent, can easily miss is hyperthyroidism. Let’s say your feline friend is 14 years old, constantly meowing for food, appearing a bit thinner, and she has switched from doing her business in her litter box to paying frequent visits to your indoor plants to relieve herself. To you, these behaviors may come across as no more than an old cat on the decline, losing her senses and perhaps her mind. However, if you were to mention these problems to your vet, he would recognize them as early signs of an overactive thyroid gland and would conduct blood tests to confirm. By visiting your kitty’s vet regularly for check-ups, you’ll have the advantage of planning necessary treatments for the year ahead, as your cat’s health needs change as she ages. Your vet will also help you stay on top of parasite treatment, dental needs and help you address any behavioral changes. Annual check-ups are also an ideal opportunity to check your cat’s weight, and determine diet changes that can improve her health and well-being. Regular visits to your vet over the years will give your vet the opportunity to get to know your feline friend well, making it easier for him to recognize what is and is not normal for your cat. The result of this cat/vet bond can mean early diagnosis of an illness, early treatment, and a quicker, more successful recovery. This benefit, combined with your vet’s knowledge of how to prevent disease, is the best way to give your cat the long and healthy life she deserves! 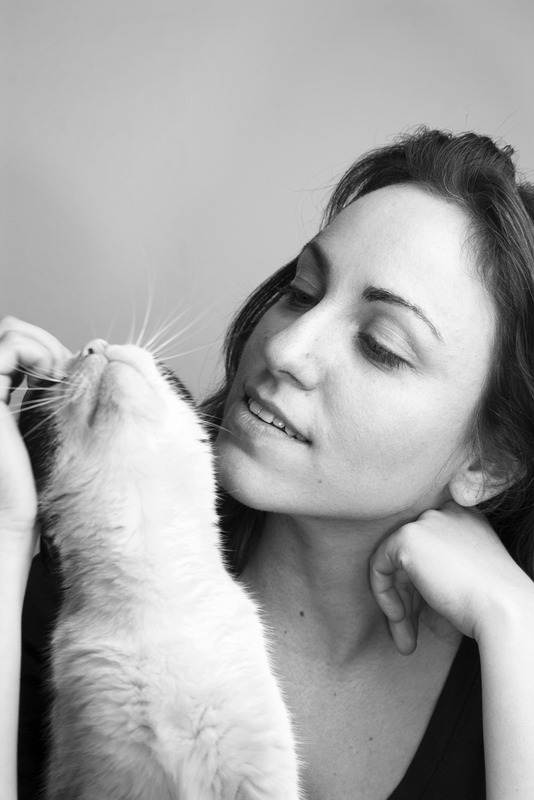 A wonderful fellow Pet Sitting Business Owner of Love And Kisses Pet Sitting, has a wonderful article for more information – How to keep you Cat Healthy and Happy, Enjoy your Happy Cat !! Author, Darlene Wagner of Professional Pet Sitting Etc. Your favorite feline will be an official senior citizen once he turns 10 years old. Sure, as with humans, kitty ailments are more of a concern as they age, but these days, with proper care and advancements in veterinary medicine, cats are living into their late teens and even early 20s. So there’s no need to panic if your purr-fect pal is getting older, but it IS time to start taking steps to insure he stays as happy and healthy as possible throughout his senior years. By the time most felines turn 10, behavioral changes become more noticeable. Your cat has likely slowed down a bit; you may notice your cat isn’t jumping up onto high surfaces as much, or he’s no longer climbing to the uppermost perch on the cat tree. He may be more easily stressed if his daily routine is changed, or something new is added to his environment. Or perhaps he doesn’t run out to greet you when you get home, as he once did. And how about his increased vocabulary? What’s up with that? Older cats can suffer from many of the same health challenges older people face, including arthritis, thyroid issues, diabetes, and kidney disease, making it of the utmost importance to schedule twice-yearly wellness visits with your veterinarian. The sooner a change in your kitty’s health is identified and addressed, the easier it will be to resolve or manage the problem. When visiting your vet, mention any and all behavioral changes you’ve noticed in your cat, no matter how minor they may seem, as these can provide important clues about health problems that may be brewing under the surface. It’s also important for you and your vet to keep regular tabs on your cat’s weight, to assure he isn’t gaining or shrinking over time. From 13 to 15 years of age, most cats are moving quite a bit slower than they once did, many experience at least some vision and hearing loss, and may also have less tolerance for cold temperatures. Teenage cats can develop age-related dementia, making small changes in their environment or routine increasingly stressful and confusing. Along with increased napping and less activity, you may notice your typically friendly feline become a bit cranky and easily irritated. If your household includes young children and/or a frisky canine, everyone should learn to approach kitty in a quiet, non-aggressive manner. Have a multi-pet household? It’s important to keep your younger pets from bullying your aging cat, as they may sense a change in the natural pecking order and become more aggressive toward him. Does it seem like your cuddly companion prefers spending more time alone? This is normal behavior for an aging feline. Enhance his feelings of safety and security by making his favorite hideout a warm, comfy little retreat. 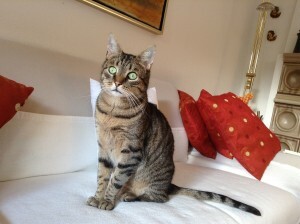 But keep in mind, older cats still need to interact with their human family regularly. Engage him in gentle play, an ear scratching session, some lap time, or a bit of brushing or combing. Continue with twice-yearly veterinary checkups as they are essential in order to safeguard your teenager’s health. Your vet will perform a geriatric workup, including a physical exam with blood, urine, and stool sample tests. The results of these tests will provide a snapshot of how well your cat’s organs are functioning, and point to any potential problems. Have your vet check the condition of your kitty’s coat and skin, his footpads and nails, and his teeth and gums as well. 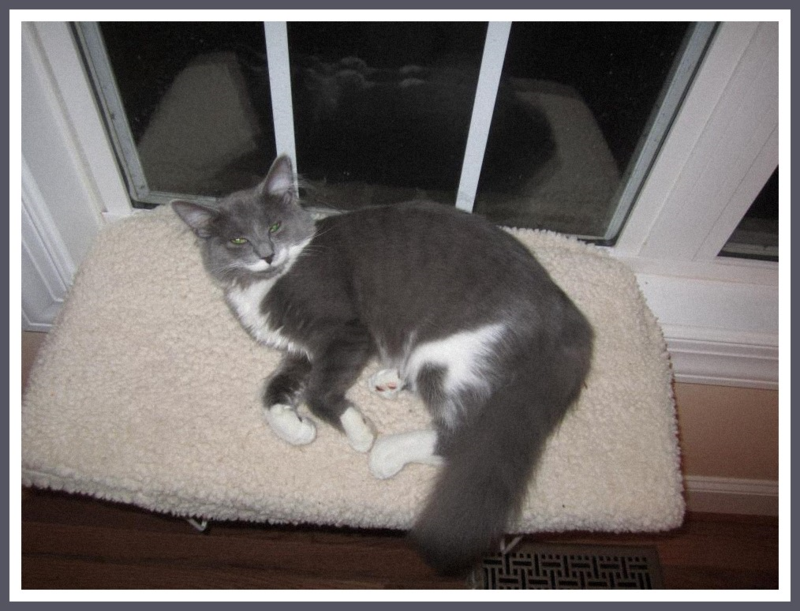 First off, if you’re lucky enough to share your life with a cat of 16 years or more – congratulations! You’ve done a great job! Now, it’s reasonable to compare your 16 year-old feline to an 80-year-old human. He’ll move and think more slowly, and may have an assortment of age-related health challenges. He’s likely not as alert or responsive as he once was, and maybe even seems confused at times. Even if he’s still in good health, chances are he’s sleeping more, interacting less, has reduced his grooming time, is vocalizing more, and maybe even having accidents outside his litter box. As long as you keep bi-annual vet visits and look out for significant or sudden changes in your senior’s health and/or behavior (such as changes in appetite or potty habits, aggressive behavior, mental confusion, etc. ), there’s no need to worry. Ensure he is comfortable, secure and relaxed by having a consistent daily routine and providing him with a quiet, cozy retreat with bedding and a toy or two. Having a cat (or two, or three…) in your life is a wonderful, rewarding experience. But, out of fairness to all parties concerned, it’s very important that you make sure a cat is a good fit for you and your household. For companionship – Cats are very social creatures and they bring a lot of love into a home. If you fantasize about curling up on the sofa with a good book, and a kitty purring in your lap, a cat may be a welcome addition to your family. For health – It has been scientifically proven that living with a pet is good for you. It lowers blood pressure, encourages activity, and gives your life additional purpose. Obviously, the health benefits should not be the only reason you opt to open your home to a cat, but it is definitely an added benefit. Out of impulse – Avoid taking on the responsibility of any pet on a whim. It is a commitment that should always be taken seriously, and one for which you should be fully prepared. For your child(ren) – If your child has been begging and pleading for a cat, or you want to teach him to be more responsible, please reconsider. No matter how much your child pleads, or promised to take care of the furry family member, you will be the primary caregiver for any pet. If you yourself don’t want to be responsible, don’t get a cat. Cats are easier than dogs – Sure, caring for a cat doesn’t require daily walks, playing fetch or regular bathing, and there are known for being more independent than dogs, but they need more attention and work than most people realize. Misinformation abounds about the necessary care for a cat ~ some people think they don’t need to be fed regularly because they are natural hunters, while others think regular wellness checks with the veterinarian aren’t necessary. If you’re considering welcoming a cat to you family because you think it will be easy, please reconsider. Yes, there is a lot to consider before making the decision to share your life and home with a fabulous feline. It’s extremely important that you take the time to carefully consider whether or not a cat is a good fit for you, your family, and your lifestyle. Too many cats wind up in shelters because their former parents just weren’t ready to have them in the first place. With pets’ lifespans so much shorter than ours, it is typical that we out live our beloved companions. But, what if that’s not the case. Have you taken the necessary steps to ensure your pet is protected in the event something happens to you? Should you become seriously ill or injured, or pass away, it is critical that plans for your pet have been made in advance. 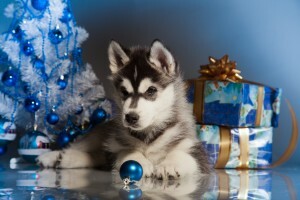 Protecting your pets now will help with your pets care and everyone will know your wishes. Designate a willing friend or family member. Speak with those closest to you (and, preferably, familiar with your pet) and determine who would be willing to serve as an emergency caregiver should something unexpected happen to you. Give that person keys to your home and a list that includes important information such as the name and phone number of your veterinarian, feeding and care instructions, and the locations of your pet’s leash, food, toys, bedding, etc. Carry an alert card in your wallet. Create a wallet-sized card indicating you have a pet at home, including the name and contact information for your pet’s emergency caregiver. Carry Professional Pet sitting Etc information in your wallet as well. Sure, none of want to think of our own passing, but arrangements should be made for your pet in advance in the event it does happen. Sometimes, it’s not enough that your friend or family member promised to take care of your pet. Things happen. People change their minds. To be on the safe side, and to ensure your pet is cared for when worse comes to worse, start making formal arrangements that will cover his sufficient care. You may opt to work with a lawyer to draft a special will, pet trust, or other document which details the specific care and ownership of your pet, as well as the dollar amount needed to care for him. Did you know that Professional Pet Sitting Etc has been in clients’ wills/trust for pet care? We have been named in the pet section in clients’ will/trust to care for pets until a home is found or we are entrusted to bring pets’ to a shelter/rescue that we trust to find a forever home. If we are able to, we have been asked and accepted on a few occasions to be the pet guardian. The trust pays for our services. This type of arrangement must be thought out and arranged in advance. Keep in mind, however, designating a caregiver in your will may not be enough. Wills divide property; they do not serve as custody agreements. And who will take care of your pet until your will is enacted? To absolutely ensure your pet will be cared for according to your wishes, it is recommended that pet parents complete and file a Pet Protection Agreement, a simple agreement that allows you to name a pet guardian to take care of your pets, and gives you the ability to leave funds to care for your pets in the event you cannot do so yourself. Many of us consider our pets to be members of our family, often our “furry children.” In the same way that responsible parents plan ahead for the care of their children, plans should also be put in place for your furry family members. After all, they provide you with unconditional love and affection every day; the least you can do is ensure they receive the same even if you’re not there to provide it.